Looking for some easy, yet nutritious breakfast ideas to eat at the office? This round up is full of delicious breakfast ideas that require little preparation, that can be eaten at the office! Anyone else pumped for the weekend? AND the start of October?! It was FINALLY cool this week and it’s so wonderful! Let’s talk breakfast ideas for the office. When I first started working at my office job, I’d make a smoothie every morning. After a few weeks of tummy trouble, I decided to switch up my routine to mirror what I do on the weekends, which is eating mid-morning. It’s a very small intermitted fasting window, but switching up my eating times has really helped my stomach. Because I don’t eat before I leave for the office, I eat my first meal of the day between 10:30 – 11:30am (I usually do have either a little coffee or almond milk & superfood green powder around 9:30/10am). Since I’m at the office, my options are usually limited to leftovers and/or overnight oats. I’m always looking for new recipes and breakfast ideas for the office, so I reached out the the fabulous unicorns of the BGB Community. They were overflowing with ideas that I couldn’t help but share with you! 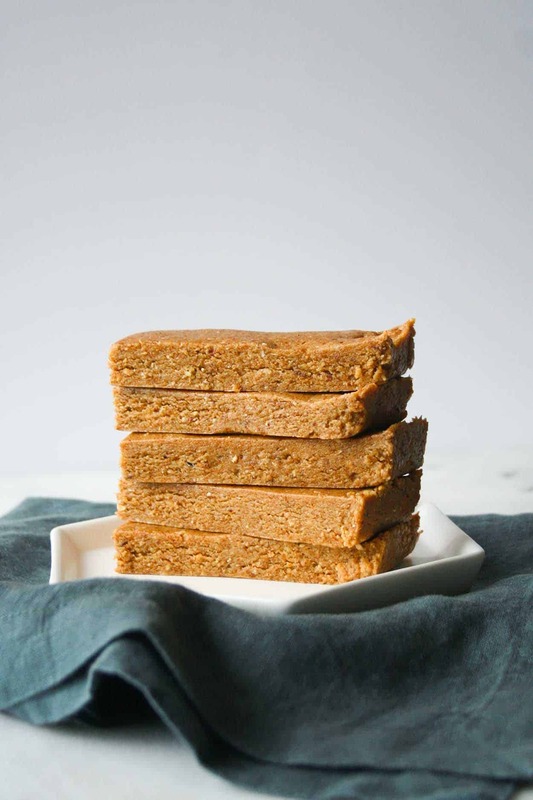 Peanut Butter Breakfast Bars from Joy. Food. Sunshine. Spinach Banana Muffins from Joy. Food. Sunshine. Good Food Made Simple reached out to me earlier this month to see if I wanted to try some of their breakfasts, fresh from the freezer, made with simple and wholesome ingredients like antibiotic-free meats, cage-free eggs and farm fresh cheese. They sent me a variety of options that The Hub and I could enjoy. My personal favorite was the Steel Cut Oatmeal with Organic Vermont Maple Syrup! I added a scoop of peanut butter and some sunflower seeds for a little extra protein. The oats are just sweet enough and tasted delicious! Since it’s National Breakfast Month, Good Food Made Simple is sharing all about their wholesome breakfast products. Because they are passionate about good food and simple ingredients, they are offering one lucky reader a chance to try one of their products for FREE! All you need to do is leave a comment with the product you would like to try! Giveaway closes on 10/3/2016! Learn more about Good Food Made Simple on Facebook, Twitter and Instagram! Disclaimer. I was provided products from Good Food Made Simple in exchange for a review. All opinions are my own! Do you have any favorite breakfast ideas for the office? Thank you so much for featuring my recipe!! Great post, girl!! the egg white patties look good for mornings on the go! These are perfect! I love having a smoothie on the way to the office or I may get an omelette from the cafe at my job. The Bloggers Gonna Blog gals make breakfast look so GOOD! 🙂 Prepping overnight oats is one of my favorite ways to have breakfast ready if I don’t have time. I also like smoothies. Great round up! All of these look so good – love on the go breakfast ideas.So many new ideas for oats! I’m just going to have to go through these recipes one by one now that my breakfast will be at the gym on the trainer life schedule! I also have to do the intermitten fasting routine or my tummy is not happy! Glad you found something that worked for you!